So, we are on the summer holidays; a time to relax and catch up with friends and do all the things that you feel you don’t have time to do during work time. Lucky for me, my birthday is in August – I am never at work, school or have exams on my birthday and I can only ever remember it raining twice during my whole life! For this years’ birthday treat I thought I’d go to Bath and I was surprised that science and the new GCSE caught up with me! 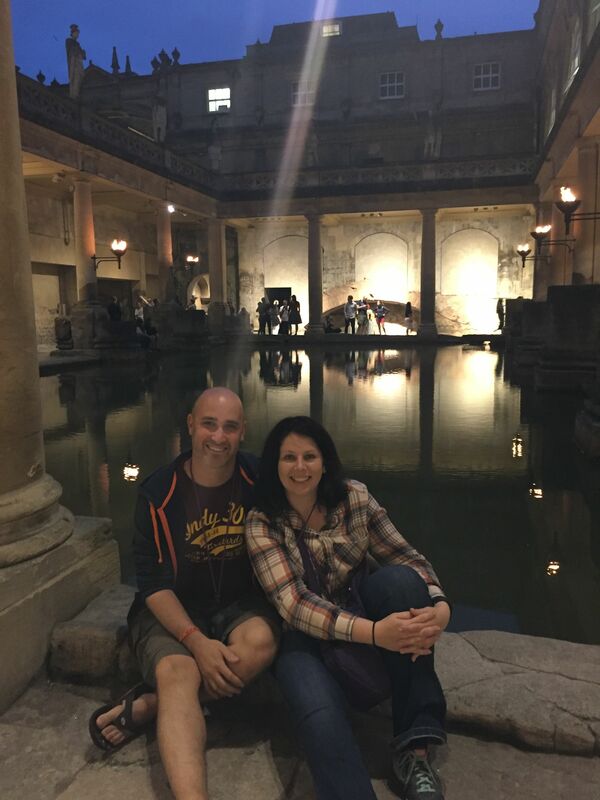 I find myself excitedly going around the Roman baths in the centre of the spa town by night. It was amazingly atmospheric and what struck me was the murkiness of the bath waters. Not when they came out of the pump for you to try but as they lay in the Roman bath. My mind wandered and I had to think of an answer to satisfy myself. As I progressed around the extremely well preserved ruins, I looked at the Roman drainage system with the ‘silting up’ with orangey brown material and felt the heat coming off the water. It struck me that as the water was open to the air it cooled down and this reduced the solubility of the salts and hence could cause the dissolved chemicals to drop out of the solution and this may account for the green hue of a suspension. Initially I thought that iron compounds could account for what I saw, but iron compounds are not found in this water. So, maybe it is a nickel compound or maybe algae are growing? 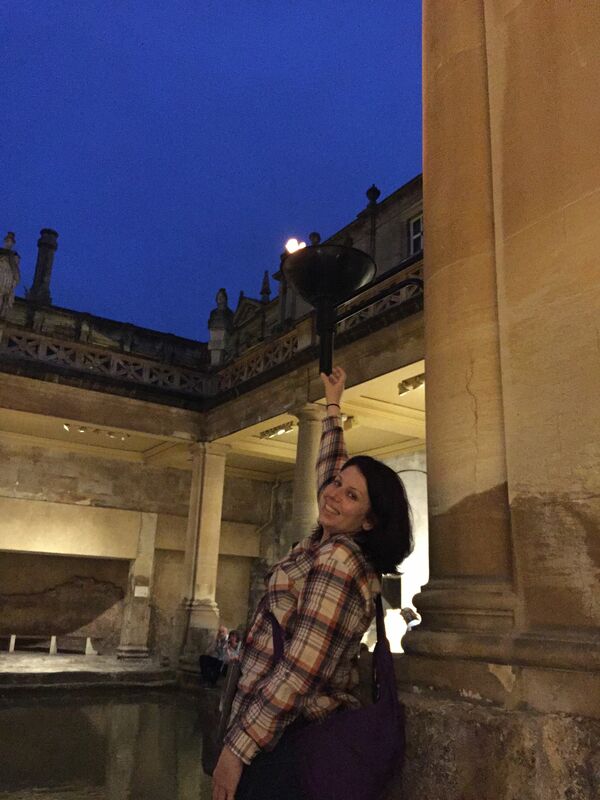 Then there were the fiery torches used to illuminate the Roman bath. Like everyone nowadays, I want a good Facebook photo. So, I thought out taking a picture at an angle so it looked like I was holding the torch. In my head came ray diagrams and I wasn’t disappointed by the end result! I was also highly amused when I asked a foreign tourist to take a photo and looked at the image when I got home and a ray of light looked like it was falling on my partner’s head – perfect for that ray diagram starter! Just before I left the museum, I was invited to try the spring water. 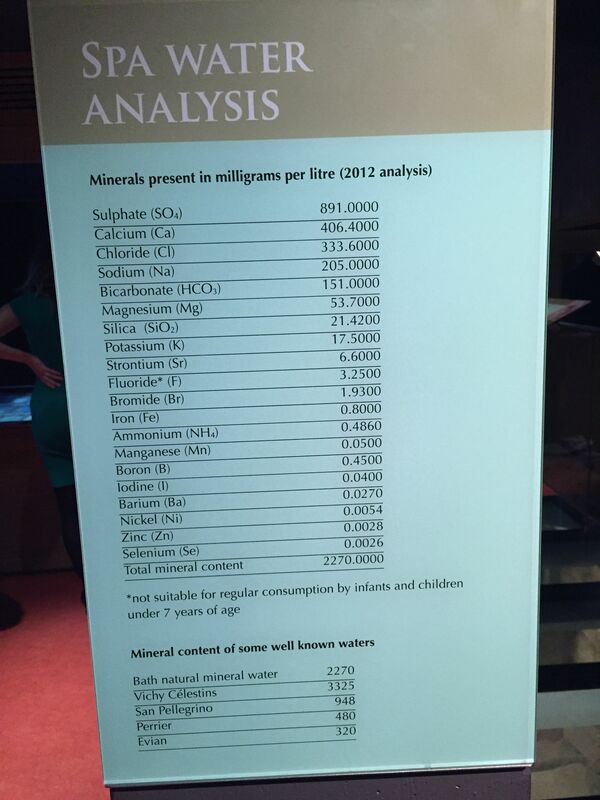 As I tentatively filled up my paper cone, I turned around to see a board detailing the amount of minerals found in a litre of the water. I was very amused to note that infants should not have regular consumption of the waters and wondered why. Is it the potassium content leading to irregular heart rhythms or something else? The new GCSE wants students to be able to convert units, use standard form and display data in different ways. This board would easily allow all of this. But, then I really got my eye in it. Fluoride is an ion and should have the symbol F– not F, and then I noticed that all the ions were without charge. This is such a common misconception with students and would cause them to drop marks in their GCSE. But, then I thought, I could still use my photo as a starter or plenary – what is the mistake?! So, whenever you are out and about there can be a top teaching and learning idea that may just present itself when you least expect it!